The official interpretation of the Canadian government on race relations between Whites and Chinese immigrants is summarily articulated in the Library and Archives of Canada, under the heading, ARCHIVED — The Early Chinese Canadians 1858-1947. The essential explanation this web page offers as to why Whites "were so hostile" to Chinese immigration is "anti-Chinese racism". The document does not ignore other factors, such as the fear that "the Chinese could work for lower wages and would take jobs away from white workers", but the message of the web page is that anti-Chinese agitation was centered "around the idea of 'white supremacy', captured best in the phrase 'White Canada Forever'". This explanation is rarely challenged by anyone in Canada today. It is part of the mainstream curriculum, widely disseminated by all the media outlets. This explanation has provided the rationale for the apologies and financial compensations by the Federal government in 2006, and, most recently, the apology from the British Columbia Legislature in May 2014. It is also the explanation embraced by Chinese leaders in Canada in their still ongoing demands for "inclusive redress". 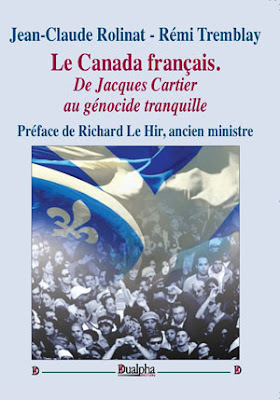 The discursive apparatus sustaining this explanation is powerful, well-documented, and seemingly beyond dispute precisely because it is the only scholarly developed explanation today, and it is the only developed explanation because it is an integral component of Canadian elite efforts to create a nation in which the historic White majority population is obligated to accept a multiracial nation where the role of Whites as the founders of Canada will be marginalized. Once you accept this commitment to a multiracial culture, which by necessity implies believing that a White society dedicated to diversity is morally superior to a White society that is not, this explanation is inevitable. The most comprehensive study of British Columbia's effort to stop Chinese immigration is Patricia Roy's three-volume series: A White Man's Province: British Columbia Politicians and Chinese and Japanese Immigrants, 1858-1914, The Oriental Question: Consolidating a White Man's Province: 1914-41 and The Triumph of Citizenship: The Japanese and Chinese in Canada, 1941-67. While this study offers great details on the economic factors that influence the attitudes of whites towards Asians, its central preoccupation is the "race" factor in the creation of this province, premised on the idea that race is a "socially constructed" category, which can be deconstructed by writing critical books about "white superiority" and "racism" as prejudices that can and should be transcended as we go about creating a Canada that is open to all races. No racial group in human history other than Whites has ever been committed to racial diversity. The peoples of the earth have always exhibited ethnocentrism, preference for their own culture and a disposition to judge other cultures by the standards of their religion, customs, and ethnicity. Research has been coming out lately showing that ethnocentrism is a natural and practical evaluation of one's ethnic identity and interests consistent with evolutionary theory and cultural sophistication. This argument was well articulated in Psychological and Cognitive Sciences (January 2011) under the fitting title: Oxytocin promotes human ethnocentrism. This study was based on a series of experiments in which participants were administered doses of oxytocin wherein the researchers learned that "a key mechanism facilitating in-group cooperation is ethnocentrism, the tendency to view one's group as centrally important and as superior to other groups" at the expense of an out-group. I said "fitting title", because "oxytocin" is commonly known as a hormone associated with breastfeeding and love, but this article showed that it is also associated with in-group favoritism and ethnic tribalism, that is, with behavioral traits commonly associated in the West with intolerance and conflict. How can the same "cuddle chemical" be associated with ostensibly opposite behaviors such as in-group bias or "out-group derogation"? But this is no contradiction at all — despite the equivocations of the authors as liberals who can't digest ethnic identities — since preference for one's ethnic group requires affection and attachment to one's own people, being loyal, reliable, trustworthy, and cooperative within one's group. But in the "imagined" future that our Canadians elites envision for Canada, a nation in which multiple races are projected to be able to get along without biases, ethnocentrism is seen as an "irrational fear" that only exists, and has existed, due to human ignorance, which can be remedied through proper education. This is the belief underpinning the official interpretation of race relations in Canada's history. But there is a major dilemma in this way of thinking and program, and it is that a particular people, "white Canadians" — to use the official wording — are the only ones under the burden of overcoming their ethnocentric biases. In the study of race relations in this nation, racial egalitarians cannot but be preoccupied with the dominant White group in its relations to minority out-groups since Whites have always constituted the vast majority in Canada. We thus have a situation in which early generations of Whites living in an extremely harsh environment, where a livelihood was hardly guaranteed, being subjected to the moral judgment of White liberal elites committed to racial equality living in comfortable settings made possible by past generations. The overplayed drama of "racism" is driven by well-off Whites condemning the actions of poor past Whites in the name of an imagined future free of ethnocentric favoritism. The non-Whites are always seen as the victims since Whites are the majority and only majorities can impose institutionalized racism. The archived article, The Early Chinese Canadians, manifests this dilemma and blindness in almost every paragraph. There is never an effort to examine ethnocentrism as a human attribute partaking in all cultures. The only group standing in the court of judgment are Whites. Among many similar expressions we have: "White British Columbians firmly believed that their way of life was better than all others." "They said that Chinese people carried diseases and other bad habits." "Anti-Chinese racism reflected a belief in the superior power of the British Empire." "In daily life, white Canadians felt free to show their dislike of Chinese people without any concern for the consequences." Why were Whites so malicious? No reasons are offered. One is simply left with the impression that humans are not naturally ethnocentric, but would prefer a universal communion of all races if not for the racist Whites standing in the way. The preference Whites had for their own group is portrayed as a historical anomaly; a mistake to be overcome in the world once we get all Whites to accept diversity. White racial acts are based on irrational fears. Other groups consist of normal humans beings eager to assimilate into a diverse Canada free of racial divisions. But when one examines the sources critically regrading the relationship between European settlers and Asian immigrants in the late 19th to early 20th century, one can detect the inherent flaws of this official interpretation. We can start by showing that in the most developed explanation of racism against the Chinese, namely the work of Patricia Roy, there are a number of implicit observations pointing towards a different, more realistic and scientific interpretation, of the events. Roy observes that during the years between 1914 and 1941, with the passing of the exclusionary Chinese Immigration Act in 1923, the fear about Asian "swamping" declined, and whites were able to consolidate "their white man's province". Excluding Asians, and episodic reactions against Japanese residents, serve as a way for whites to acquire their own identity; that is, the formation of BC as a viable province with its own culture and people entailed use of the Asian "other" as "part of their [white] self-definitions".3 Again, there is very little to work on here, but if we don't accept her premises, we can ask: has there ever been any other identity in human history that was not formed by identifying an "other"? Can a community be created in which everyone belongs and no one is excluded? Roy, and everyone who writes about the making of Canada's provinces, takes it for granted that we can have a universal inside-ness freed from any taint of xenophobia and in group-favoritism. There is no denying that Western nations alone have been committed to a universal community because of their unique development of a wider sense of the "we", not only in nurturing a scientific method with universal applicability, but in coming up with a model of political belonging based on equal rights of citizenship regardless of race and religious identities. However, first, it should be noted that Western nations developed the concept of civic citizenship within the context of a high degree of ethnic homogeneity, in countries where ancestors had lived for generations. The most liberal nations — England, France, Italy, Belgium, Holland, Sweden, Norway, Finland, and Denmark — were indeed the ones with the strongest liberal traits, constitutions and institutions. Second, what has been transpiring in the last few decades with the promotion of mass immigration and race mixing is unprecedented, and purely experimental in nature. The results we have so far may be ascertained from the most detailed study we have of the way different ethnic communities are interacting and belonging in the West: a comprehensive survey by Robert D. Putnam of 26,200 people in 40 American communities, the conclusion of which was that ethnic diversity decreases trust and co-operation in communities. Putnam observes that in mixed ethnic communities people tend to "withdraw even from close friends, to expect the worst from their community and its leaders, to volunteer less, give less to charity and work on community projects less often, to vote less [...] and to huddle unhappily in front of the television". Known for his bestseller, Bowling Alone (2000), Putnam also noted that "across local areas in the United States, Australia, Sweden, Canada and Britain, greater ethnic diversity is associated with lower social trust and, at least in some cases, lower investment in public goods." After being an overwhelming majority in Metro Vancouver up until the 1980s, whites will make up only two out of five residents by the year 2031, according to projections done for Citizenship and Immigration Canada. University of British Columbia geographer Daniel Hiebert also predicts that ethnic groups in Metro will increasingly concentrate in neighbourhood enclaves, creating a degree of racial segregation paralleled only by blacks and whites in major U.S. cities. Similar trends are predicted for Canada's other major cities; for example, "Metro Toronto's visible minority population will mushroom by 3.3 million, with whites accounting for just 37 per cent of its residents by 2031." According to Hiebert, the "scale of ethnographic change over (the next) period will be larger and more rapid than anything we have seen previously." 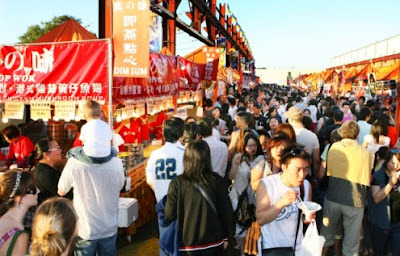 The entire region of Richmond adjacent to Vancouver centre has been so overwhelmed by Chinese immigrants that it now resembles a huge Chinatown with Chinese only signs. Imagine if academics were as obsessed writing about non-white racism as about white racism? I don't know how people can possibly look at a metro area like Vancouver or Toronto and still believe the lies about integration. When I was growing up, I'd always assumed that immigration worked as follows: First the immigrant lives in a lower-cost neighbourhood, probably with a bunch of coethnics, while they get their feet under them and start adapting to their new country. Then, after a number of years, after they've saved up some money, they move to a nicer neighbourhood (often in a suburb) among people of a variety of backgrounds. There, they (and their children) integrate and their children become Canadian in spirit. After spending some time in a job that took me all around the GTA, I learned that, if anything, the opposite is true. A lot of the poorest parts of Toronto are actually quite diverse. And I mean that in the true sense of the word, not the Cultural Marxist definition, which roughly corresponds to “no whites”. Plant yourself in the lobby for a while of one of Toronto's lower-rent apartment buildings and you'll see a bewildering array of people coming and going, most of whom will have arrived here from another country. But what happens when these people amass enough money so that they have some choice of where they live? They'll probably move to whichever Toronto suburb has the biggest population from the home country/shared ethnicity. Chinese to Markham/Scarborough, Jews to North York/Thornhill, Italians to Woodbridge/Vaughan, Indians to Brampton, Ajax, or if they have some extra money, Mississauga. Blacks to...Well to be honest, blacks really don't seem to fit the profile. They kind of just go anywhere. That's the lie. These people don't come to Canada because they want to be Canadian. They are either indifferent to Canadian culture at best or outright hostile at worst. They want to come her because Canada offers them better economic opportunities than their home country. They want to come here because for hundreds of years, generations of European-Canadians felled trees, ploughed fields, dug canals, mined ore, built roads, and erected buildings. 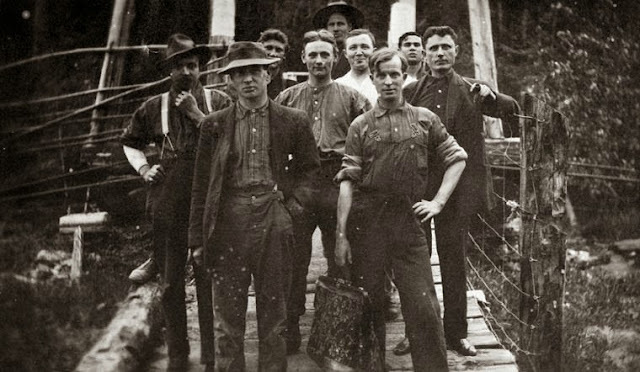 They died from cold, accidents and disease (1000 or more in building the Rideau Canal). People from Pakistan, China, Somalia and wherever else want to come here because those European-Canadians made Canada a country worth living in. I can accept immigration. I'm a child of immigrants myself. I just want these immigrants to be honest, both with us native-born Canadians about why they're coming here, and with themselves about why Canada is worth coming to. Thank you professor, you and your work will be remembered by future generations of whites in their huddled communities who wondered how we could have committed collective suicide.